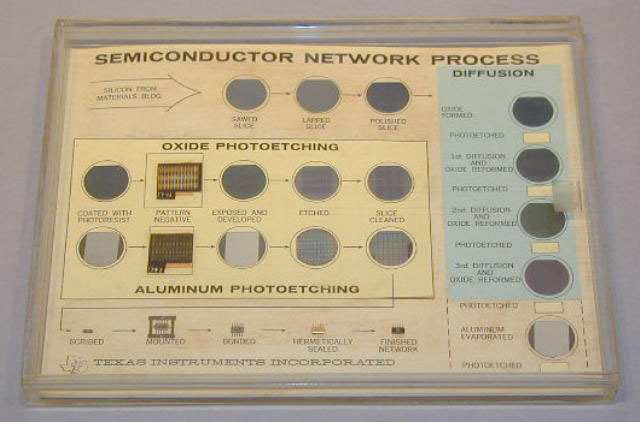 Displays step by step process of the fabrication of an integrated circuit (initially called Semiconductor Network at TI). The display probably was made in 1962 or early 1963 and represents production of that period. This item is the same G00027 & 148 except for part details. The estimated date for the display is based on the 7/8" slice diameter, mask size, package construction and painted device. Related material in collection: G00027, 148.